Can I get an official invitation letter? Yes, we will e-mail or fax an official invitation letter to registered authors upon a request. 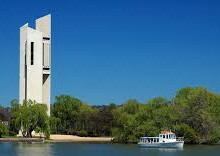 If you need the invitation letter, please register first, and then email to the Conference at tom@cs.anu.edu.au with subject line "Request Invitation Letter for ACSW 2016" for your request including information about your paper (paper id, authors, paper title) and affiliation, postal address and fax number.